Midsouth Installers Heating & Cooling has been providing remarkable HVAC services in Birmingham and also the surrounding areas since 2000. With more than 29 years of experience, we pride ourselves on being unique in our service. We simply take the initiative to find out what is the best for family by placing your preferences ahead. We repair, service and install all makes and models of heating and air conditioning equipment including tankless water heater, indoor air quality systems and much more. At Midsouth Installers Heating & Cooling, all our HVAC solution specialists are highly trained specialists. 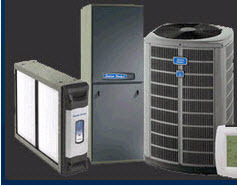 We continue on all latest improvements in technology to ensure your HVAC device needs are met. Whether your problem involves repair solutions or maintenance, our skilled staff at Midsouth Installers Heating & Cooling can handle any work. We're members of Alabama State Board of Licensed Contractors, BBB and also the Home Builders Association of Alabama. For more info, call us @ 888 610 4528. Driving your expectations. We are proud to help both residences and businesses across Birmingham, Homewood, Mountain Brook, Fultondale, and surrounding areas. Our NATE certified technicians will take the time to determine what your family's or employees' needs are and delivery the necessary services. You can rest assured that we prioritize your satisfaction. With more than three decades of combined experience, you can be confident that we have the knowledge and skills you can depend upon. To tell us about any problems you are experiencing and to request free estimate on any furnace service, contact us now at (205) 369-3560! Did you know that summers in Birmingham, are some of the hottest in the U.S. with temperatures averaging 90 degrees? To combat the extreme heat and humidity that is sure to be in the upcoming forecast, make sure you have an excellent, highly operational A/C unit installed. At Midsouth Installers, we are proud to boast all of the qualifications you are looking for in an HVAC company. Our experienced technicians can supply you with all the following Air Conditioner services: Air conditioning installation, Air conditioning repair, Cooling system maintenance. Your 100% satisfaction is guaranteed! We are locally owned and operated, have more than three decades of combined experience. You can rest assured that our company is fully licensed, bonded, and insured to take care of all your AC repair or installation needs. With our flat rate pricing and highly qualified team, we guarantee you will be fully satisfied with our air conditioning services! Our NATE certified technicians are members of the following organizations: Alabama State Board of Licensed Contractors, Better Business Bureau, Home Builders Association of Alabama. In addition to these qualifications, we also offer you financing and don't charge extra for after hours or emergency service work. Take advantage of our free estimate on any air conditioning service by contacting our office at (205) 369-3560 today! Does anyone in the home suffer from allergies or asthma? Does pet dander, dust mites, pollen, or the flu virus affect your loved ones? We can evaluate your home and determine the particulate make up of your air and address issues with air cleaners, UV lights, humidifiers, and dehumidifiers. We are a full service generator sales and installation company. We will help you select just the right generator for your home and your lifestyle and also estimate installation costs, and arrange delivery and installation of our products. A tankless water heater only heats water when it is called for and it does it instantaneously. There is no lag time between the call for hot water and getting it. Another huge benefit of tankless water heaters is their small footprint when compared to a 40 or 50 gallon traditional water heater. The tankless heaters are wall mounted and can be mounted on either an interior or exterior wall.